At GDC today, Google unveiled Stadia, its new revolutionary game streaming service – which is due to go live later this year. Google showed off many notable features – for example, being able to play games such as Assassin’s Creed Odyssey on a range of devices within seconds, regardless of computing power. Perhaps more excitingly, Google purports to offer a faster multiplayer experience than even dedicated servers can offer, with the full possibility for cross-platform play across PC, consoles, phones, and tablets. Furthermore, since Stadia and all its code runs on Google’s backend, that means there is no possibility of any cheating or hacking to be going on during multiplayer games. While Stadia typically only runs a single “instance” of a game, more can be stacked, which leads to the possibility of online or split-screen co-op – without needing a more powerful PC or console to handle it. Cross-platform play is confirmed as entirely possible, as is the option to transfer save files between devices. You can explore Athens in Assassin’s Creed Odyssey on your phone and transition to your PC or TV to take on a mission, seamlessly. Stadia is built on top of Google’s own data centre network, comprising fibre links and cables and over 7500 locations across the globe, which simply results in better performance. While there is some inevitable loss in quality, since the data is compressed along the way for quicker streaming, the result is still very impressive – you’re essentially getting the benefits of a powerful PC without actually having one. 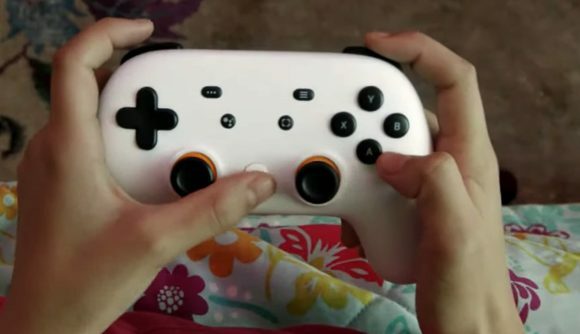 Google’s head of engineering for Stadia Majd Bakar describes Stadia as “the most powerful and connected gaming platform”. If it can pull off the type of multiplayer speeds players expect and yet stream the entire game, that may be an accurate description.